You’ll find lots of recipes here to make your own bacon at home, cure hams and other whole cuts of meat, like lonzino or bresaola. 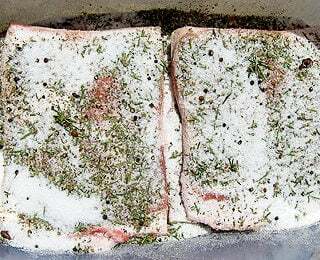 Curing whole cuts of meat can be both easier and more difficult than making salami. Since the interior of meat is pretty clean, you have fewer sanitation issues — but since the interior of a large cut like the back leg of a hog can be huge, controlling the temperature and humidity can be tricky if you want the cure to get to the center of the meat before it rots from within. If you’ve never done this before, start with a duck ‘prosciutto,’ which can be done in a few weeks. For those waterfowl hunters out there, this is a great use for the breasts of Canada and snow geese. 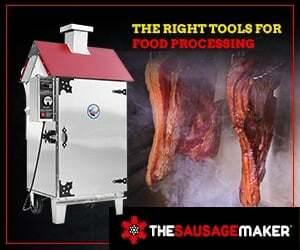 Other easy projects on this page include my bacon recipes as well as my jerky recipes. 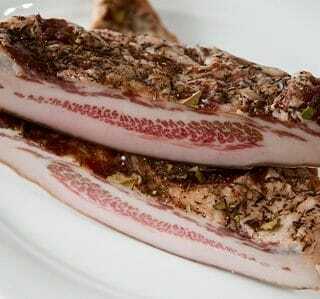 This is a “green” bacon, so called because it contains no nitrite, and so will not be that pretty red color. Green bacon also goes bad much faster than cured bacon. 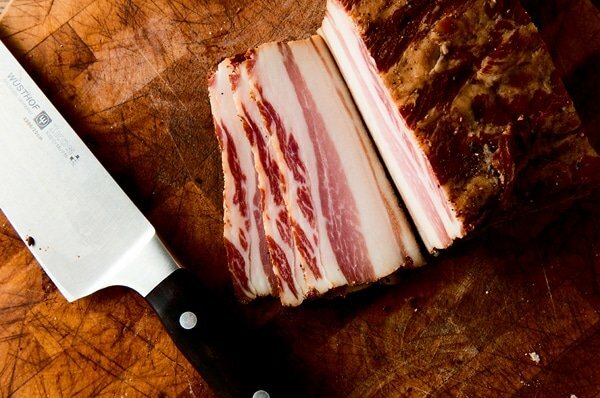 A lightly cured, smoked variant on pancetta. This is a great addition to any French dish. 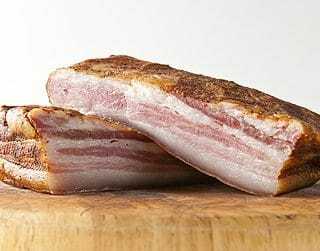 Bacon with German seasonings that is smoked over oak or beech wood. A Chinese style of bacon that is heavily spiced and heavily smoked. Southern jowl bacon is a tradition. Cured, then smoked, then put into beans or greens. 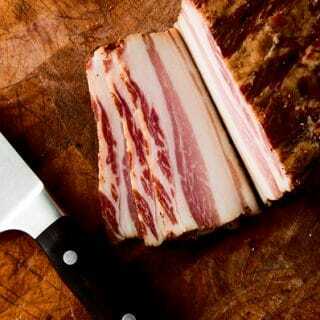 Italian jowl bacon, this version is cured, then hung to dry for weeks before slicing and eating with pasta. This should be your first project when you are a beginner at charcuterie. It can be done with domestic or wild ducks or geese, and cures rapidly. 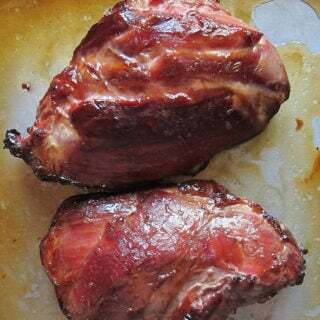 This is an “Easter Ham” style ham made with wild pig. Cured, smoked and glazed with honey. You want to make this. Yes you do. 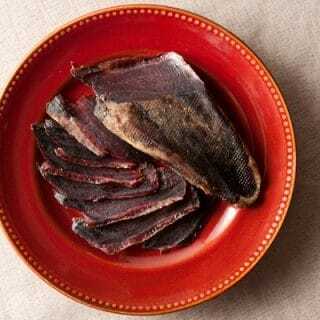 Another popular style of jerky, this one is loosely based on the flavors of pemmican. 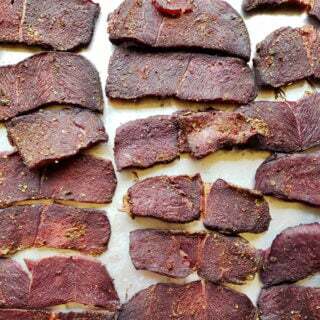 Thinly sliced pieces of duck or goose breast, salted, spiced and air-dried. A perfect use for snow geese or diver ducks. 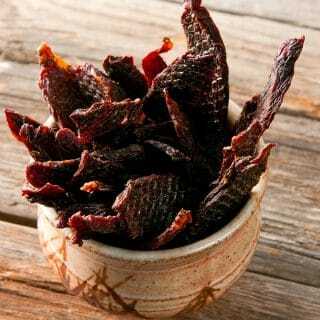 Best made with large, hind-leg roasts, this is Mexican jerky. 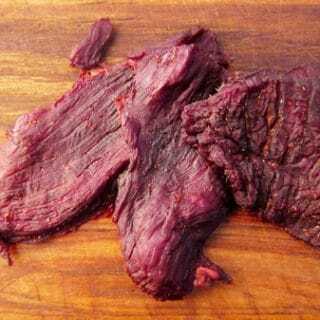 Good on its own, carne seca is also good tossed in stews, or simmered in a salsa and put into burritos. 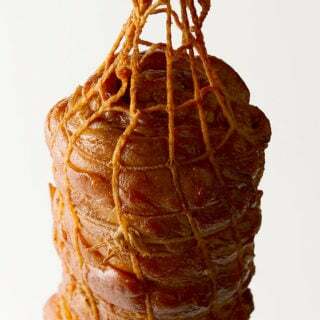 Goose leg ham, a recipe from Northern Italy. It’s easy to cure, but to make it really well, you need to hang these legs for several months. 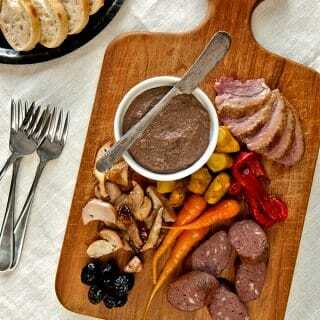 An awesome recipe for the big roasts on any kind of venison. 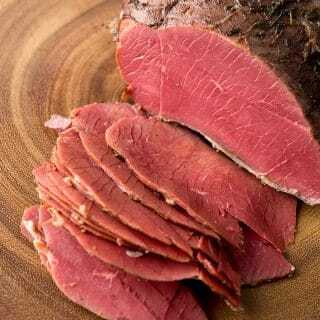 Cook up several of these, vacuum-seal and freeze them, and you have lunch meat ready to go. Lonzino is cured, air-dried pork loin, also doable with wild boar backstrap. 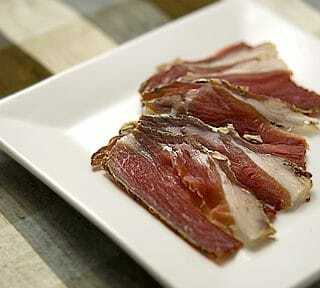 It is a delicately flavored meat that you slice thin and eat alone, or on sandwiches. 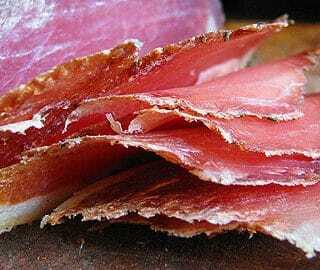 Similar to lonzino, this is cured, air-dried beef or venison. Typically it’s done with eye round of beef, I use bison or elk. You can also use venison backstrap. 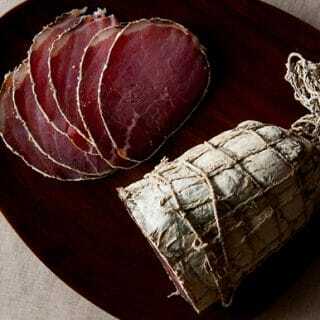 Mocetta (MOH-chet-ah) is a Northern Italian ham normally done with wild Alpine goats, but domestic goats or venison work just fine. Explore the whole world of cured meats and fish, whether dried, smoked, pickled or ground into sausage, right here on Hunter Angler Gardener Cook! I will try the Mocetta with Himalayan Tahr and feral goats as soon as I move back to New Zealand. We also have a large population of Canada Geese which I will experiment with. 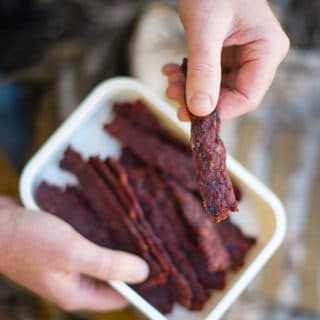 Did your duck jerky recipe but substituted it with top side roast meat cut into 1/4 inch strips and it was superb.Great site and lots of good recipes you can follow easily.